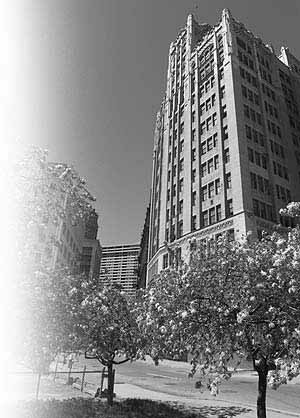 One of Detroit's greatest jewels is the 14 story, gothic styled Metropolitan Building. Built during the great construction boom of the 1920's, the Metropolitan became a principle address for jewelers and watchmakers. However, like much of the rest of the Grand Circus Park area, the building's fortunes turned in the 1970s. Thus the Metropolitan sits empty but in good condition. Contamination from decades of watch repair have hampered revival. Thus the building awaits its day to take part in the revival so many of its neighbors have enjoyed. With a good plan it will soon be one of the city's premier loft developments.